In an attempt to reduce fire risks posed by power lines and equipment during extreme weather, PG&E has announced a new plan to cut off power in Northern California neighborhoods during times of extreme fire hazard. The plan has drawn criticism from officials and residents who worry the loss of power during dangerous weather could further threaten public safety. The power cuts would apply to regions the state has designated at high risk for wildfires. “It’s not just the power lines causing fires but a lot of other factors, and, in fact, cutting power lines exacerbates the danger,” County Supervisor Ryan Coonerty told two PG&E representatives Tuesday following a presentation on the utility’s wildfire safety plan at the board of supervisors meeting. PG&E says the plan will only apply in extreme circumstances. “It is really, truly, a last-resort effort, and you’re right, there are tradeoffs," Gregg Lemler, vice president of electric transmission operations at PG&E, said at the meeting. “I think if they’re proactively looking for a solution and looking ahead of something that could be hazardous or something that’s not good for the community, I think that’s pretty good,” said one customer. PG&E's new measure follows a Cal Fire report linking 12 of last year's destructive blazes to trees and branches that came into contact with PG&E power lines and equipment. The report also found potential violations of state law. Its findings have been forwarded to county district attorneys’ offices, according to a Cal Fire news release. 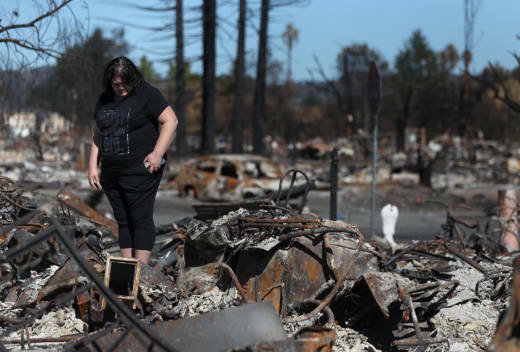 PG&E told investors last week it expects to pay at least $2.5 billion in damages from those fires, according to the North Bay Business Journal.